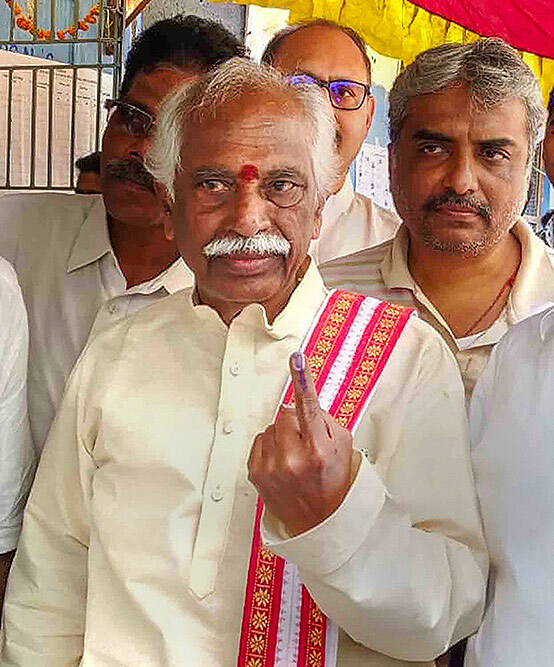 BJP MP Bandaru Dattatreya shows his ink-marked finger after casting vote for the state Assembly elections, at a polling station in Hyderabad. 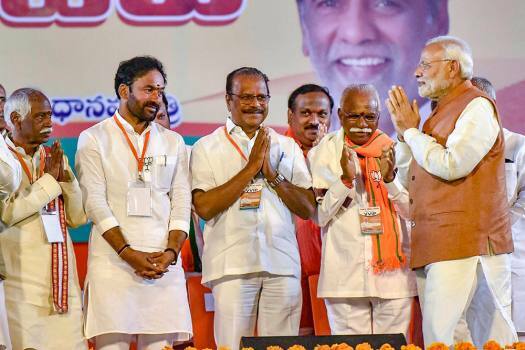 Prime Minister Narendra Modi greets his Party leaders during a BJP election campaign ahead of the state Assembly elections at LB Stadium, in Hyderabad. 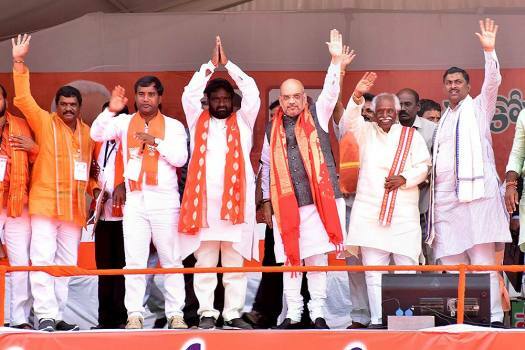 BJP National President Amit Shah at an election rally in support of the party candidates, in Amangal, Telangana. 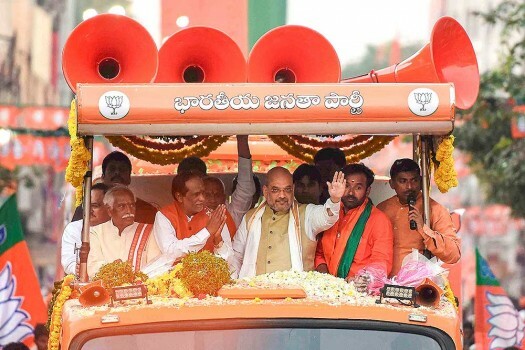 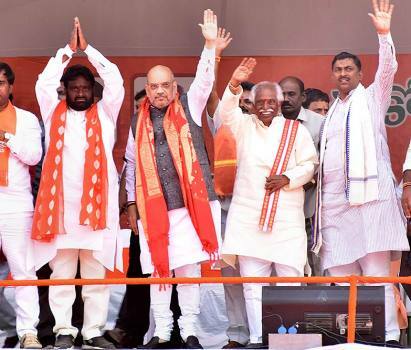 BJP President Amit Shah waves at the crowd during a road show during an election campaign in favor of party leaders Dr K Laxman and Bandaru Dattatreya, in Musheerabad. 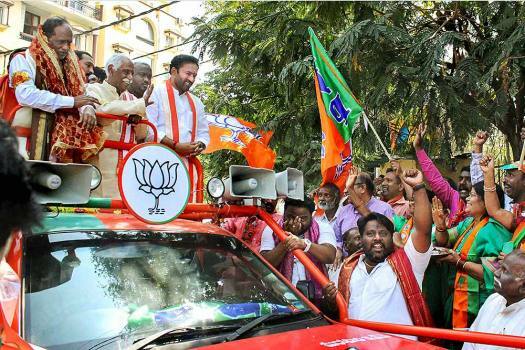 Telangana BJP President Dr K Laxman in a rally after submitting his nomination, at Musheerabad in Hyderabad. 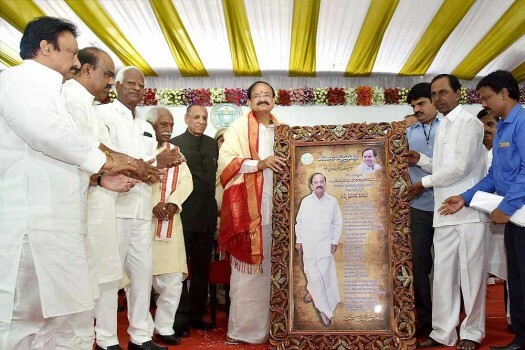 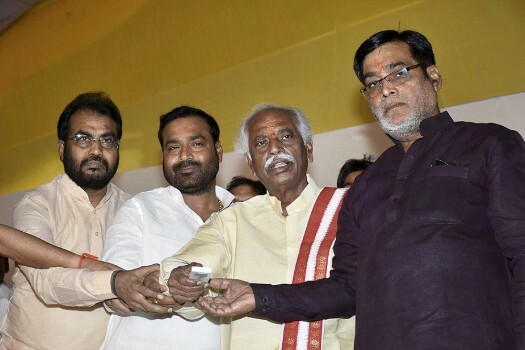 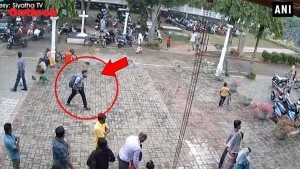 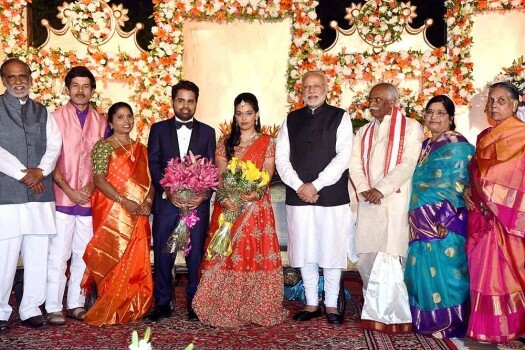 Also seen are BJP MP Bandaru Dattatreya and MLA G Kishan Reddy. 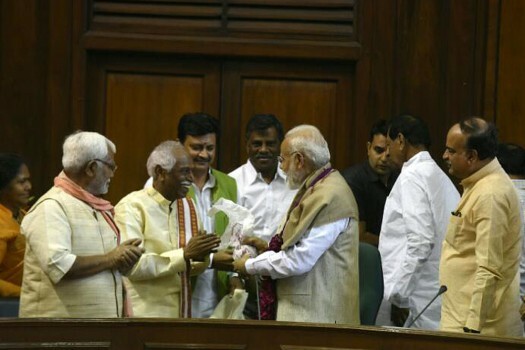 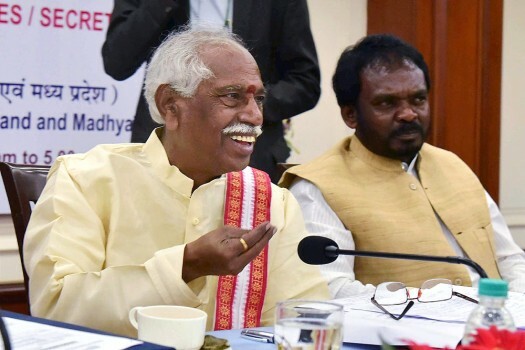 "Workers Ought To Earn More, So We Give Them The Chance To Do Overtime"
Labour Minister Bandaru Dattatreya said he will soon coordinate with the new Uttar Pradesh government to resolve the problem. 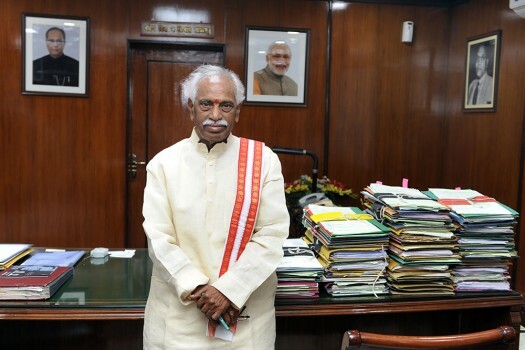 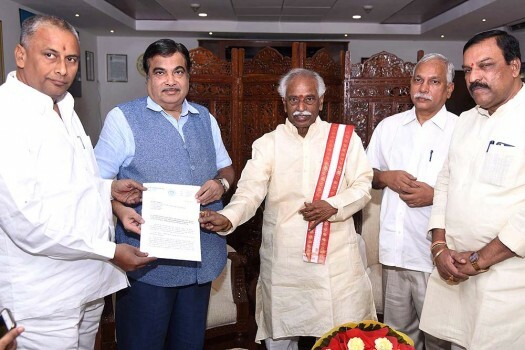 Labour Minister Bandaru Dattatreya said the two bill would be discussed in a ministerial committee headed by Finance Minister Arun Jaitley this week or next week following which these would be sent for the Union Cabinet's approval.